Tutti Vintage is a shop on Etsy which sells the cutest vintage ornaments and other homeware items. I literally want everything on there! I received a cute little package today from the lovely Lydia from Tutti Vintage. It was without doubt the most beautifully packaged order I have ever received! The box was wrapped in pink pineapple print paper with cute floral stickers on there. Inside, the items were bubblewrapped then packaged in candy striped bags with more floral stickers. Lydia also included the cutest little thank you card and a pack of 3 Tutti Vintage stickers with a little kitty and some deer on there. The stickers are amazing quality and so glossy! I want to stress how securely these things were packaged, Lydia sells fragile items and makes sure to wrap them properly. So after I got over how beautifully the order was packaged, I opened up my items! Again, I am blown away by how cute they are. The first thing that I got was a vintage cat ornament with a little mouse. 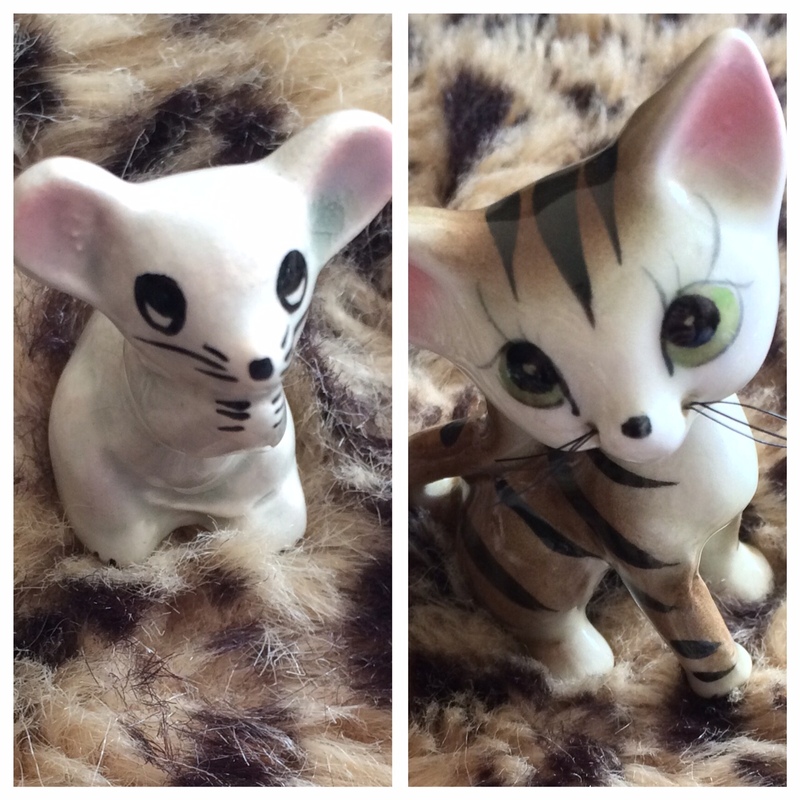 The kitty has little wire whiskers and both critters are painted perfectly. The ornaments are in very good condition considering that they're vintage! They are going to look beautiful in my new house. 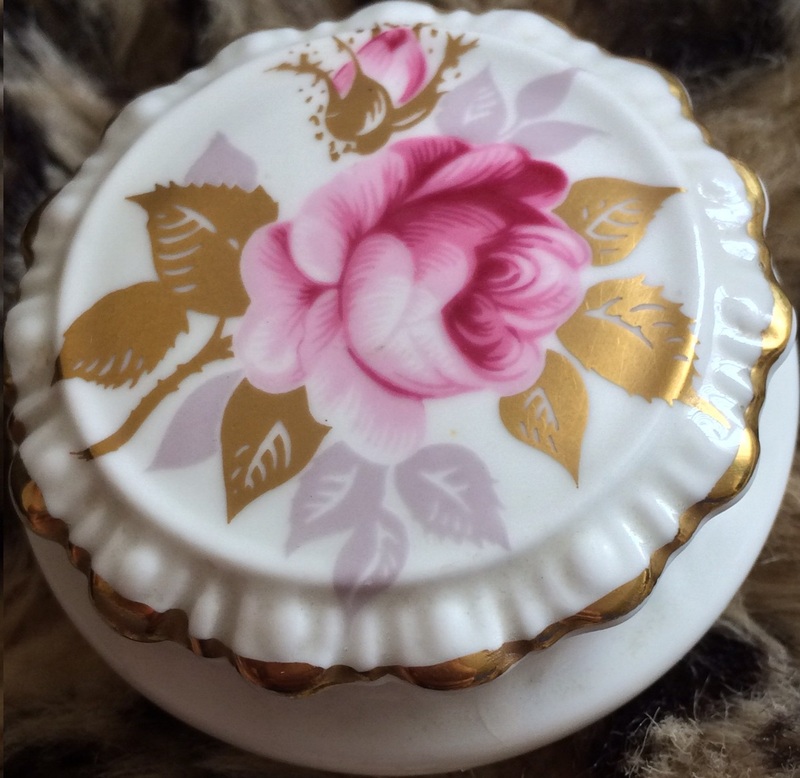 I also got a little floral trinket box which is so dainty and gorgeous. I'm planning to store hair grips in there when I move house - it's literally so precious and in amazing condition. I looove the gold trim!